Building a robust data foundation is an essential step for businesses looking to harness digital technologies to exploit new growth opportunities. Such opportunities arise through data-driven thinking that runs through an organisation’s DNA, its processes and its technology. It means businesses can create new customer experiences, improve service delivery and increase operational efficiency. Put simply, data is the fuel that energises a successful digital transformation. 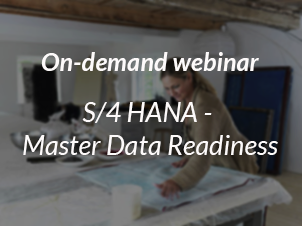 Download this on-demand webinar now to learn how leading organisations are developing their digital strategies and preparing the foundations for a move to S/4 HANA.